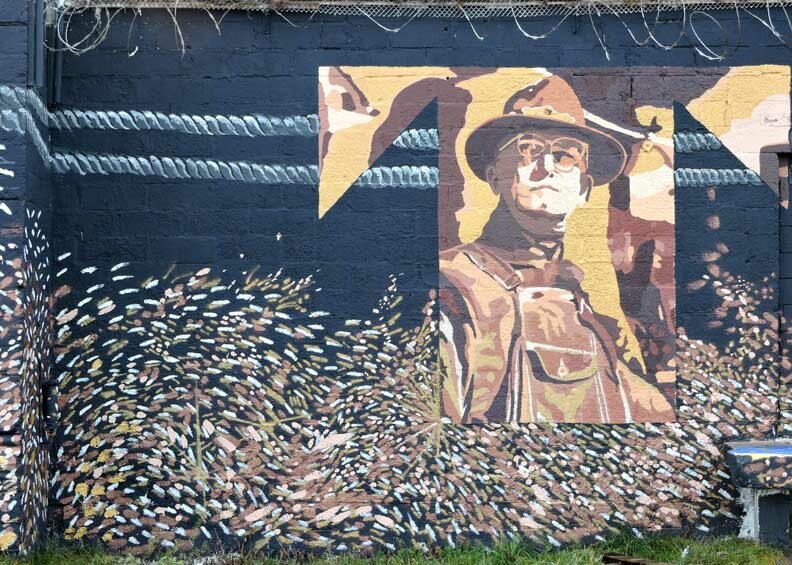 A giant new mural in the Old First Ward is now complete. 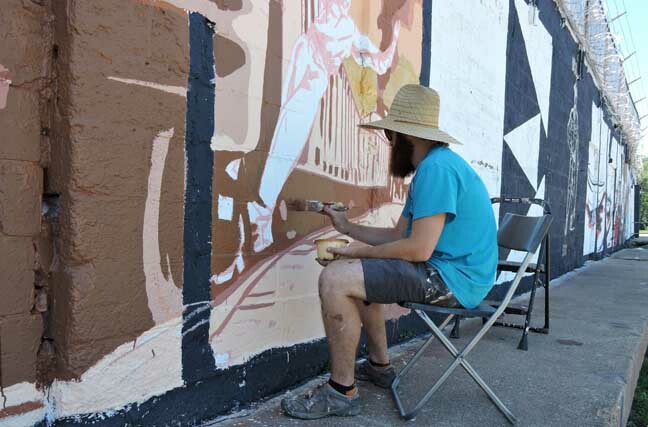 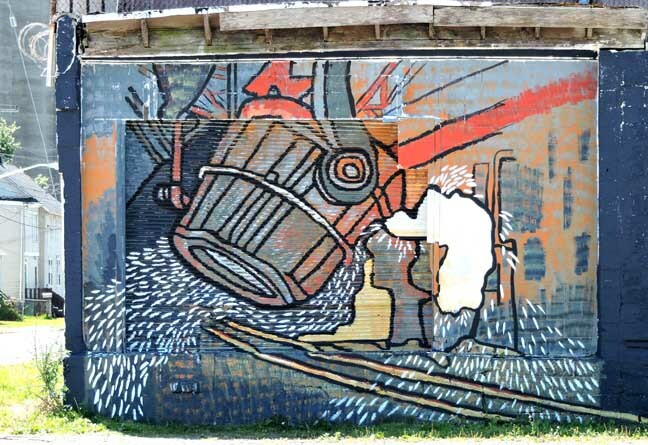 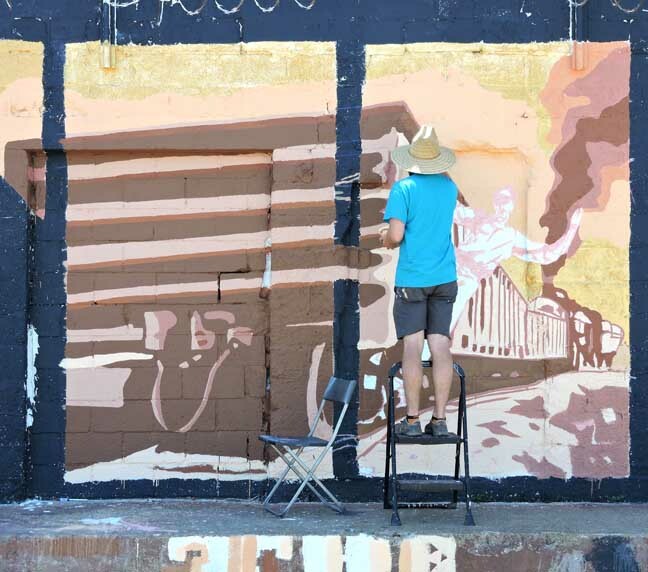 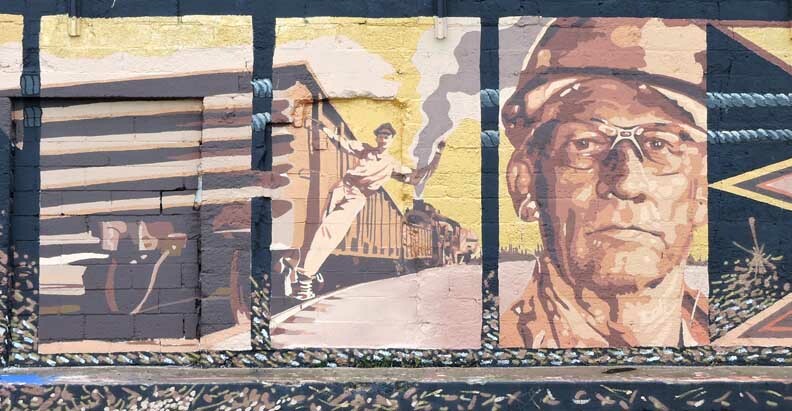 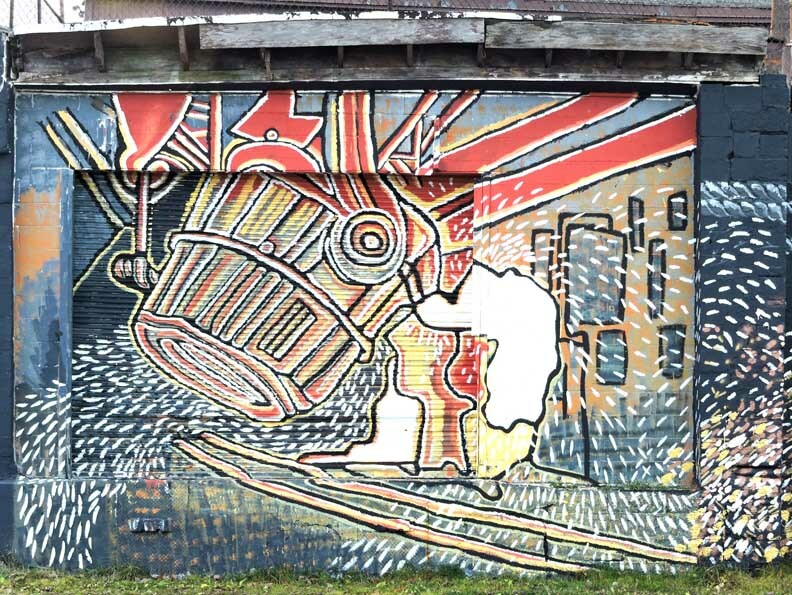 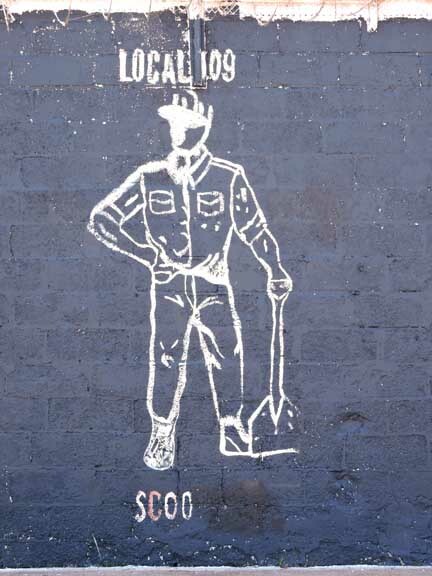 Headed up by Marissa Lehner, ELAB’s Community Art Chair, along with a number of supportive artists, volunteers and movers and shakers, the mural titled “The Worker” got started during the City of Night event this past summer. 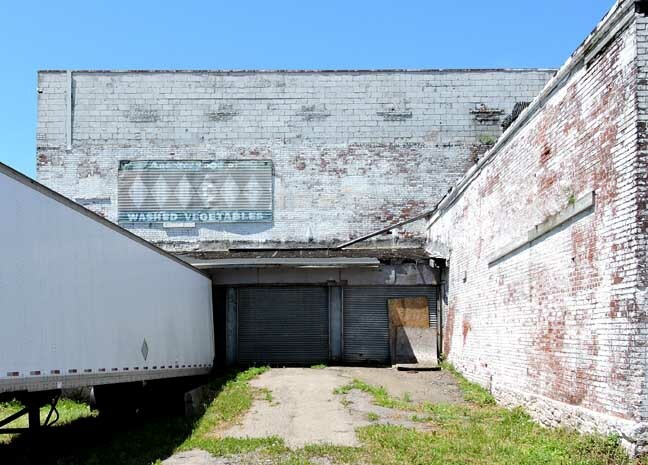 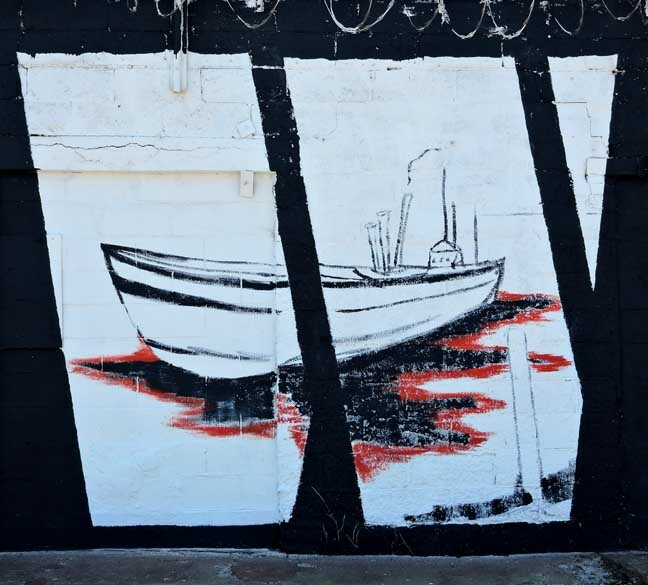 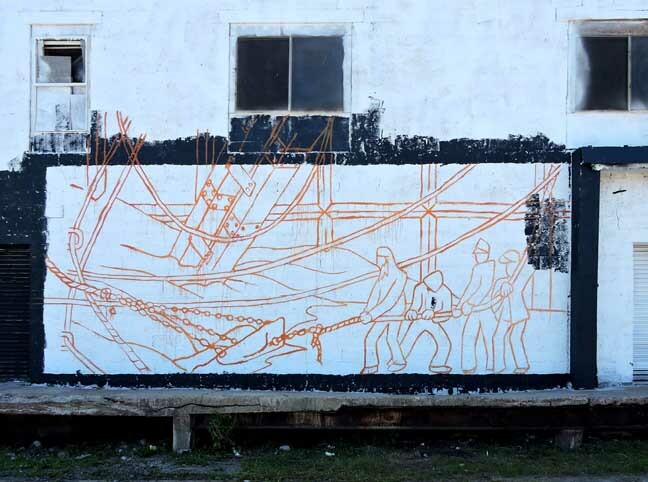 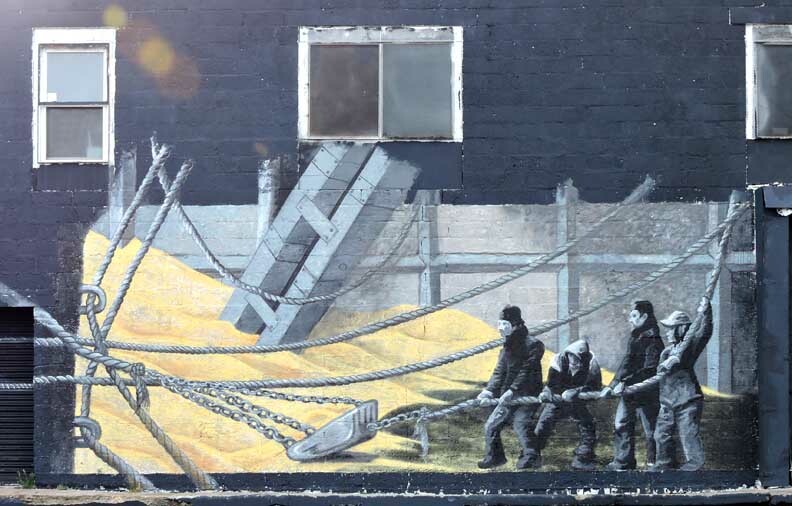 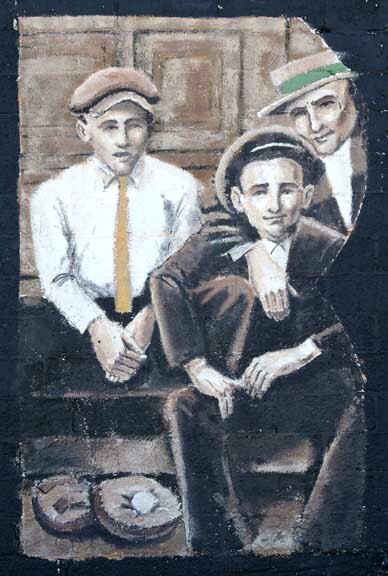 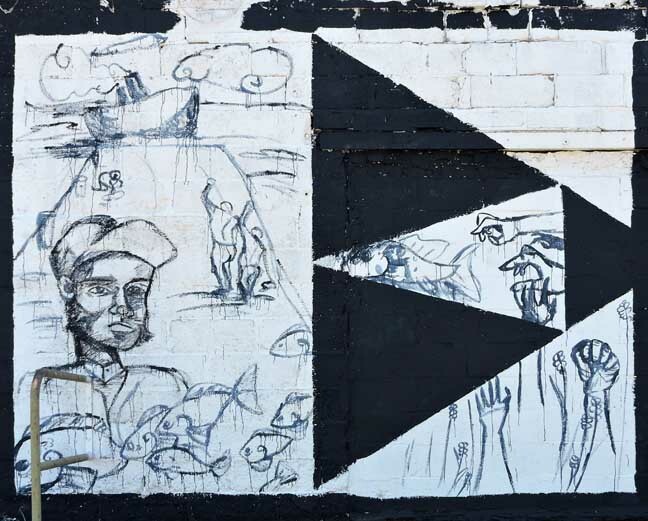 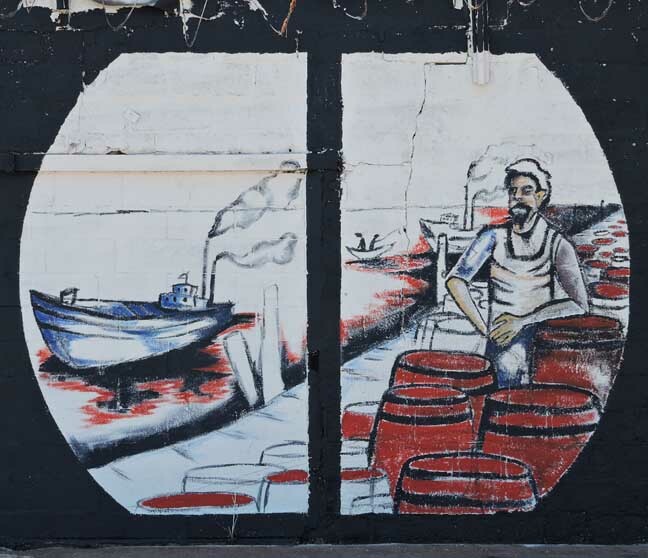 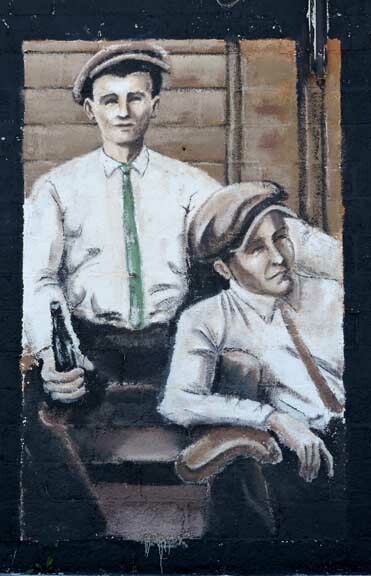 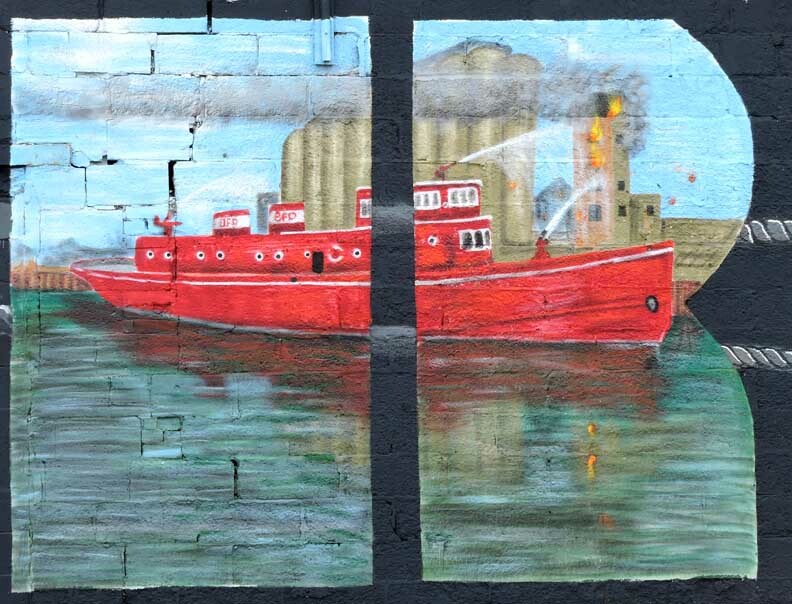 Since that time, artists Nick Miller, Tom O’Brien, Amanda Gala Roney, Suzie Molnar Goad, Vinnie Alejandro, Nicole Cherry and Chris Kameck have all contributed to the mural, which has been painted on the Brock’s building at 41 Republic Street. 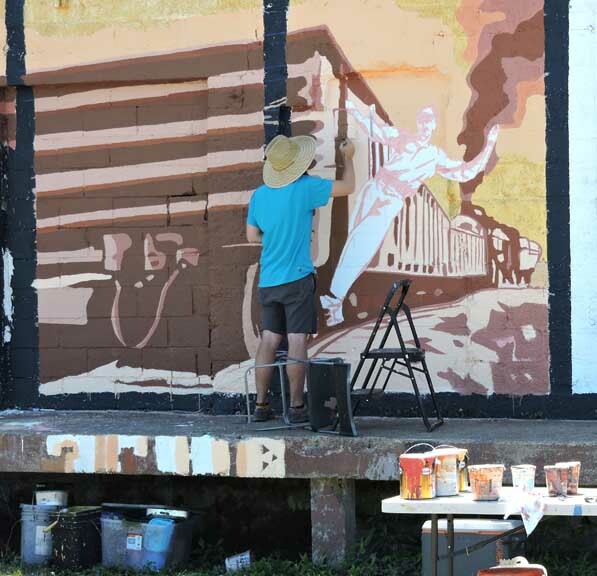 The Old First Ward Community Center also had a hand in the project. 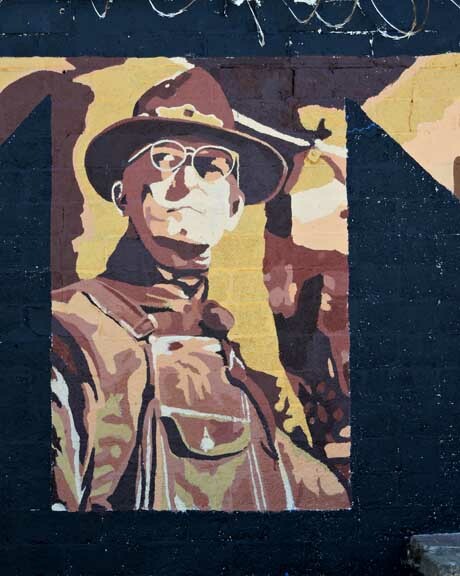 FINISHED mural ... Dec. 10, 2015 ... "The Cotter"